Because I have been in many different businesses before becoming a lawyer, I understand customer service better than other lawyers. That’s why our clients are so happy with us and that’s why our clients can speak with us anytime. While other lawyers make statements such as, “I view all of my cases as a battle…” (taken from another personal injury lawyer’s profile), I do not view your case as a battle. Lawyers who view their role as battling with insurance companies often end up battling with you, don’t get full settlement value, and always end up at trial. Do you really want to threaten and battle with the person who will write a check to you? The better way to maximize settlements and do it quicker is with preparation and using marketing/selling tactics (such as a color 3D video of your CT or MRI scan showing your injury) to convince the insurance company that your injury is worth the money we want. When helpful, we also retain experts early in your case. Part of that is to invest in your case by spending money early on, not just at the time of trial (we’ll need videos and experts anyway if your case can’t be settled). Of course, not every case can be settled quickly and some may have to go to trial. Even then, instead of battling the defense, we convince the jury. If we can’t settle, we’ll take your case to trial and try to get the insurance company to pay more money than the policy. When a case can’t be settled, we can try to move the case quicker and save you a lot of money by seeking to mediate (negotiation before a retired Supreme Court Judge) or arbitrate (a final decision by a retired Supreme Court Judge). Phil Franckel is well known in the motorcycle community, publishes the legal column in Full Throttle Magazine and began the BE AWARE MOTORCYCLES ARE EVERYWHERE® awareness campaign. Phil Franckel was the first lawyer to advertise in Full Throttle Magazine since the first issue and has continued ever since. Look for 1-800-HURT-911 on the inside front cover. Phil Franckel began practicing personal injury law in 1989 as an attorney at a major personal injury law firm in New York City. Mr. Franckel is a graduate of Quinnipiac University School of Law, received the highest grade in legal writing and was appointed to the prestigious Moot Court Board (oral argument competition team). One of Phil Franckel’s cases which couldn’t be settled involved a TMJ (the joint in the jaw) injury caused when his client’s car was struck by a truck. The jury announced they wanted to award $1.3M and resulted in what is believed to be the highest verdict at trial in Nassau County for a TMJ injury. The verdict was reduced by the court to $573,000. Recently, another jury verdict in Nassau of $465,000 for a torn meniscus in a motorcycle accident is believed to be a record verdict in Nassau for a torn meniscus. 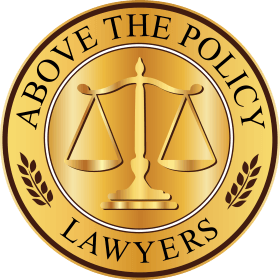 Awarded the Million Dollar Trial Lawyers Award™, I am most proud of the “Above The Policy” Award for settling a case for $155,000 where the insurance policy limit was only $25,000 and finding insurance policies which were not disclosed by the insurance company. See other settlements and verdicts. Member of Ethical Lawyers of America. Mr. Franckel’s wide range of experience and knowledge is invaluable for your personal injury case. Mr. Franckel has extensive experience with advertising, marketing, and negotiation all of which enable Mr. Franckel to obtain higher settlements by selling your case instead of battling. Mr. Franckel’s negotiating and selling experience comes from owning various businesses including buying and selling amusement games in 10th grade and a used car business from high school through college. Mr. Franckel also had a firearms dealer’s license. Later, he worked in the wholesale diamond business for 8 years which is all negotiating. These negotiating skills were put to good use negotiating settlements as a personal injury attorney since 1989. You can be assured that settlement offers in your case will be aggressively negotiated. Mr. Franckel also worked in the advertising industry including television production on TV commercials for Diet Coke, American Airlines, Bayer Aspirin, and Fuji Films with Illustra Films Worldwide, and worked on ABC Monday Night Baseball and Wide World of Sports. Mr. Franckel knows how to investigate your case and understands how the insurance company will investigate your case because he also worked as an investigator with the U.S. Department of Justice while in college. Mr. Franckel was an aeronautical engineering major at Dowling College. While at Dowling College, Mr. Franckel studied aircraft accident investigation and was in a professional flight training program for commercial pilots, flying out of MacArthur Airport, and flew many Navy aircraft including a Lockheed Electra P3 Orion 4 engine Turbo Prop Submarine Chaser (the same aircraft downed in China in April 2001), an F4 Phantom, A6 Intruder and an F14 Tom Cat. Mr. Franckel also attended physiological training at Andrews Air Force Base. Mr. Franckel’s experience in physics, engineering, and mechanics has created an in-depth understanding of the issues involved in accidents. Mr. Franckel is also knowledgeable in construction and personally designed and supervised the construction of his house which took two years to build and has many features not normally seen in houses. Mr. Franckel designed his backyard including property grading, drainage systems and personally operated a bulldozer to help with the installation of 400,000 pounds of boulders. Mr. Franckel’s knowledge of construction helped him obtain a $300,000 settlement for a torn Achilles tendon when a stairway in a house collapsed. Mr. Franckel is a former Member of the Board of Directors of the New York State Trial Lawyers Association, having been sworn in by Judge Kaye who was Chief Judge of the State of New York. Being a Member of the Board of Directors is a volunteer position for which a lawyer must be invited to apply and then approved by the Board. Mr. Franckel has been committed to public service for over 40 years. Starting as an Auxiliary Police Cadet at 17, he is currently the Commanding Officer of the Communications Bureau of the Nassau County Police Department, Auxiliary Police Section. He graduated from the Nassau County Police Department Academy for Auxiliary Police Officers, the Superior Officers Course, the Hazardous Materials Training Course and periodically has refresher classes at the Police Academy. Mr. Franckel has many years of patrol experience responding to and investigating hundreds of accident scenes which is extremely helpful in car, motorcycle and truck accidents. Mr. Franckel as Counsel to the NYS Association of Auxiliary Police has an Acknowledgment for chapter 10 Legal Issues and Volunteer Police in the book American Volunteer Police. Mr. Franckel started volunteering for public service at an early age. When in 8th grade, Mr. Franckel started an annual carnival to raise money for Cancer Care. Mr. Franckel has done pro bono (free) legal work for clients who couldn’t afford an attorney, including a girl with AIDS (in the early discriminatory days of AIDS) who was being evicted and losing custody of her child. Another was a girl with mental disabilities who was arrested and reported in national news and with the NY Daily News headline “Amy Clone Nabbed in Nassau Inspired by Fischer Movies”. Additional pro bono clients were represented for criminal and eviction issues. Mr. Franckel has adopted many dogs from people who couldn’t keep them. The latest two are my “children” in the photos below. Philip L. Franckel is mentioned in Who’s Who of Paris, France as the grandson of Isidore Franckel, who was a world-famous trial attorney in Paris, France and one of twenty-three people who founded the Revisionist Party with Jabotinsky and later founded the Judenstaat Party, of which he was President. These parties were involved in the creation of Israel. Isidore Franckel, together with Vincent Moro-Giafferi, represented Hershl Grynzpan who shot and killed Ernst Von Rath, a German Embassy official, on November 7, 1938, which caused the destruction of nearly 200 synagogues and the looting of Jewish stores in the Warsaw Ghetto two days later. The destruction and looting, called Kristallnacht or the Night of Broken Glass, was officially orchestrated by Josef Goebbels, the propaganda minister under Adolf Hitler and is still written about today and discussed in the news every year on its anniversary November 9, 1938. Philip L. Franckel, Esq., is a not so nice lawyer living on the moon! in the science fiction novels by Felix R. Savage, The Solarian War Trilogy, The Luna Deception, and Sol System Renegades Volume II.